I am playing at an online casino for free…I have nothing to worry about right? 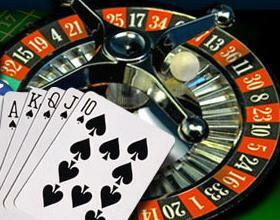 Online gambling has taken the internet gaming world by storm over the past 15 years and continues to grow each year. 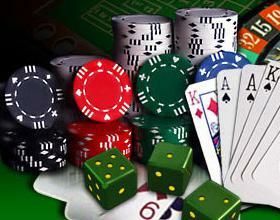 Now you can play slots, poker, blackjack and many other popular casino games on your phone. While most online casinos are honest, offering better odds than what you find at a land based casino, some are not. Yes, just like every industry, not everyone plays by the rules. So be careful when choosing an online casino, especially free ones, as it may cost you more than you know. So you might be thinking “How is that possible? I am playing for free”. Well let me explain, most online casinos require you to download their software on your phone/computer in order to play their free game. What you don’t know is what might come attached to that easily downloaded application. Some of those downloads can have a virus attached to it that can steal not only your money but your identity, contacts, pictures and passwords. “Be smart and discreet about what you download. Read reviews first, and make sure the apps you download come from reputable sources“. 1) That the casino has the games that you want to play. 2) That the casino is safe, is secure, has a good reputation and established. The main thing here is to know more about the casino management and how they run the casino. It is important to contact the casino management to discuss issues, no matter how small they are., that way you can make sure of the type of support you’d be getting as well as the games and bonuses that are offered to their players. While you are at it, most of these free casinos offer a “real cash” version; check out their reviews of their payouts. Now that you have found one that has a good reputation, now you have to see if the games call your attention. You could easily find yourself a wonderful casino in terms of trust and reputation, but if the games are not fun, there is no point in playing. A casino’s trust and reputation is the most important factor, but if the games are poor, you will never want to play anyway. So when you are looking, make sure there are a good variety of games to play. You will find that different casinos offer different games, so we would recommend trying a few different ones out for size. Things to keep in mind: the newer casinos generally have the best selection and newest games available, so they can attract new gamblers. Just playing at a new casino for the sake of it, though, is not a good idea. This is why you need to find a good balance between good game variety and casino reputation. In most cases, online casinos are operating in full compliance with local laws and offer a fair and enjoyable gaming environment for players but there are those few bad apples. Usually, a quick Google search and some research will let gamblers know if your prospective online casino is worth playing at. It’s not rocket science and just takes a few minutes of your time. Good hunting.